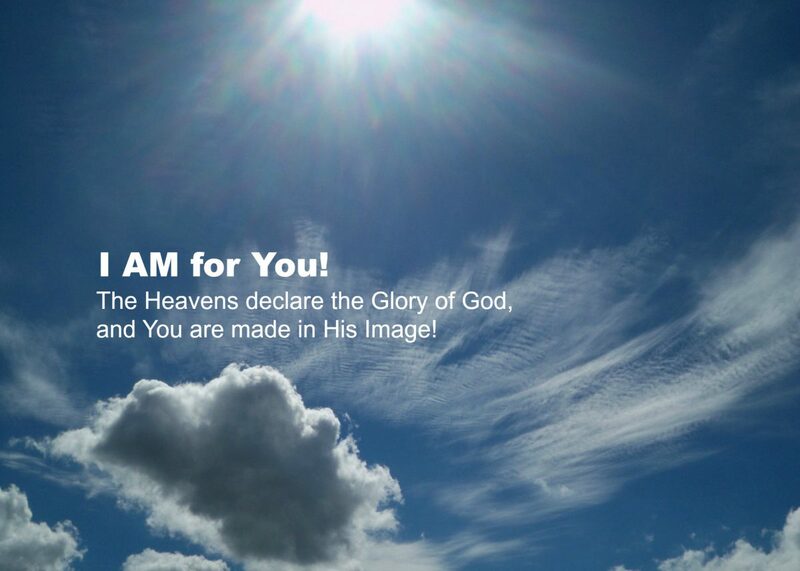 May 2016 – I AM for You! How do I experience true love? Jesus didn’t suffer infinite pain for you, and experience infinite separation from his Father, because he wanted you to be “saved.” Or because he wanted you to “believe in him.” Or because he wanted you to escape the fires of hell and enjoy the pleasures of paradise. God in Jesus on the cross, was making a way so that He could be your everything. So that He could lavish his infinite love on you. So that you and He could be intimate lovers. So that you and He could be friends. This relationship is not experienced by praying the right prayer or believing the right truth and then putting “God” away until next Sunday. It is not experienced by giving the right amount, frequent church attendance or Bible reading and prayer the right number of times per week. It is experienced when we actually do what God tells us to do. And what God said to do was, love one another as I have loved you. No man has greater love than he lay down his life for his friends. And you are my friends, if you do whatsoever I command. We are to lay down our lives for one another. Whoever loses his life for my sake and the gospel will find it. Love God, love people. What we do for others out of obedience to God reveals how much we love God. (Disclaimer: We do not do for others to get God to accept us, love us or forgive us. Jesus accomplished that for us when He died on the cross. Acceptance, love and forgiveness is a gift He freely gives us). When the prostitute washed Jesus’ feet with her tears and dried his feet with her hair she showed much love. Those who are kind to the poor honor God and He will reward them for what they have done. He who refreshes others will himself be refreshed. Filled with joy are those who give others much mercy for they will receive much mercy. If your enemy is hungry, feed him. If he is thirsty, give him something to drink. Forgive and you will be forgiven. Give and it shall be given back to you, pressed down, shaken together and running over the top. Blessed are you, loved of my Father, for I was hungry and you fed me, I was naked and you clothed me, I was sick and in prison and you visited me. You see, faith is not something you have, like a movie ticket, holding it until you die and then exchanging it for entrance into heaven. Faith is something you use everyday, to discern what God is specifically telling you to do right now and doing it. That is when you know you are saved, that is when you know you believe in him, because that is when you experience the Love of your Friend. Author james bruce mcnaughtonPosted on May 8, 2016 May 13, 2018 Categories Uncategorized3 Comments on How do I experience true love? What would you want Jesus to do? Jesus got to shore and was met by a man who had been acting “crazy” most of his life. The man lived naked among the graves and no one could control him. The man pulled to pieces any chains he was in and he often cried out; cutting himself with stones. Jesus had compassion on the man. But he couldn’t help him. You see, this man was of another religion and it was against the law to convert him to following Jesus, which Jesus knew would happen if Jesus healed him. Also, the media had been misreporting that when Jesus said, “Give to Caesar what belongs to Caesar, and give to God what belongs to God” that Jesus was really rebelling against the government and advocating that people not pay lawful taxes. What would they report if he removed evil spirits from a man not considered competent to give informed consent? And what about the people who said mental illness was a myth? What if they said Jesus should value the man’s differences, not judge his lifestyle, and coexist with him? And what about the mental health community? They don’t believe in demons. They would be offended if Jesus cast out demons into pigs, and the pigs immediately committed suicide, proving that demons do exist. They might lobby to have Jesus’ license to practice counseling revoked. And what about the owners of the pigs? Did Jesus ask permission to send demons into them? Was Jesus going to pay restitution? What if you were the man or woman standing there in front of Jesus, with your future and your sanity hanging in the balance. What would you want Jesus to do? Mark 5 in the Bible. Author james bruce mcnaughtonPosted on May 7, 2016 Categories UncategorizedLeave a comment on What would you want Jesus to do?